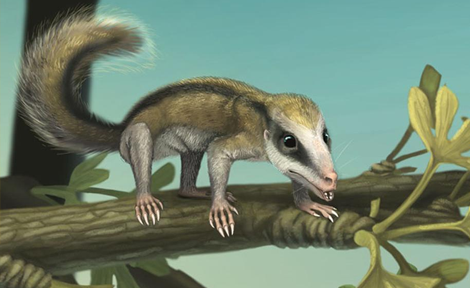 New fossil discoveries show that mammals 160 million years ago had feeding and locomotor adaptations comparable to the ecological diversity found today. Kim Williams, AB'75, MD'79, president of the American College of Cardiology, advocates a plant-based diet as part of shifting heart disease treatment from "event" to "prevent" focused. At the University's Center in Paris, undergrads learn to see the world with different eyes. Michael Dawson, LAB'68, director of the University's Center for the Study of Race, Politics, and Culture, believes a postracial society is not only possible but desirable. Chicago Booth's Matthew Gentzkow finds that, despite common perceptions, print and online media do not drive America's political polarization. An article coauthored by senior lecturer Allen Sanderson says pending legal cases threaten the National Collegiate Athletic Association's system. Cultural critic Edward Rothstein, PhD'94, explores the issue of fact-checking, or the lack thereof, in recent films based on actual events. A veteran of five space missions and 58 days in space, John Grunsfeld, SM'84, PhD'88, "represents what NASA inspires people to do: Serve the nation. Serve science." UChicago geophysicist Raymond Pierrehumbert warns of risks involved in engineering strategies to counteract climate change. 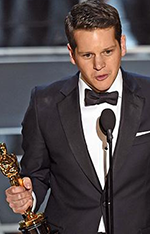 Oscar winner Graham Moore, LAB'99, makes a heartfelt acceptance speech drawing on a painful past to encourage young people who feel like outsiders. 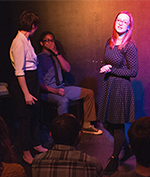 Susie Allen, AB'09, offers a guide for comedy-inclined UChicago alumni. The redesigned Alumni Association website is live.